How do you feel after reading this? I know for me, it was a friendly reminder to enjoy the here and now. Honestly, I have always been a "seize the day" kind of person. With that being said, it can sometimes be easy to allow the stresses or daily tasks in our lives to push or pull us away from what really matters. 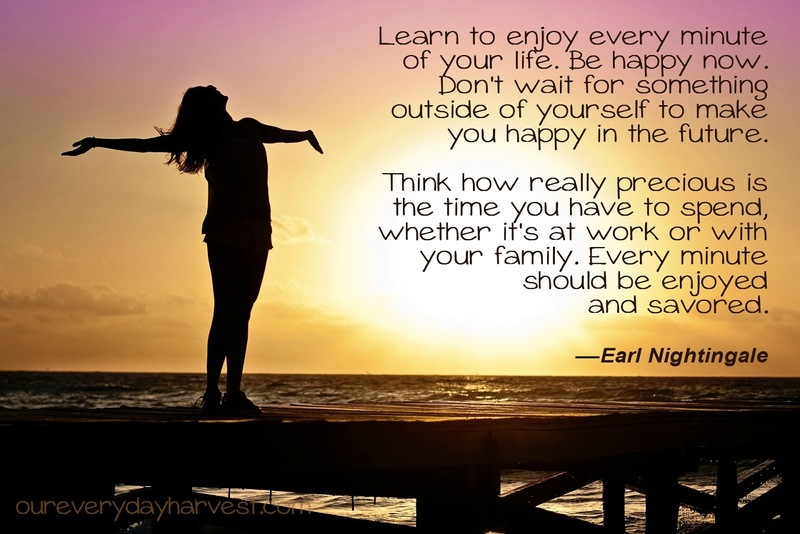 When I saw this quote from Earl Nightingale, I knew it was one that I wanted to share with everyone. It's definitely something to think about, and really just a simple reminder to focus on the now and what's right in front of us. Life goes by so fast–and although it's important to have a plan for the future, it's not all that we should be focusing on. Let's soak up the happiness that's all around us, by taking a moment to stop and cherish what we have right here in the present, enjoying our friends, family, and faith. God Bless and Have a Beautiful Day!